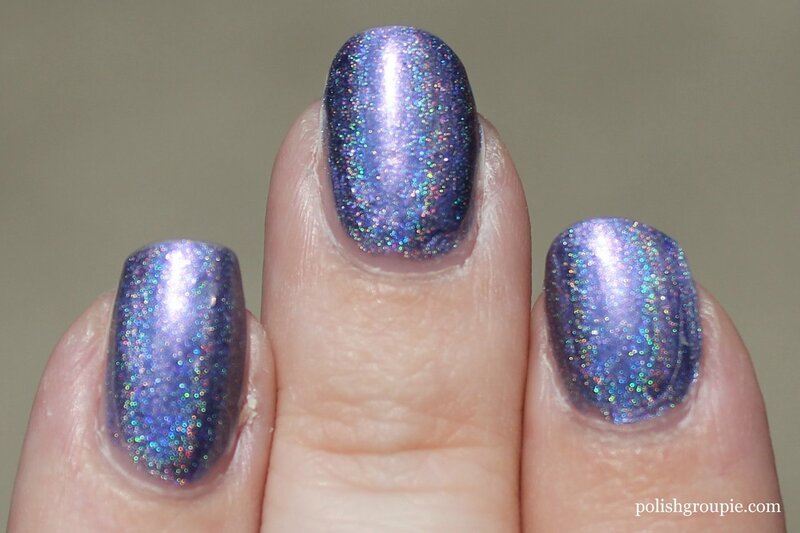 Here’s a look at a lovely holographic polish from one of the indie polish makers that put holos on the map, Enchanted Polish. 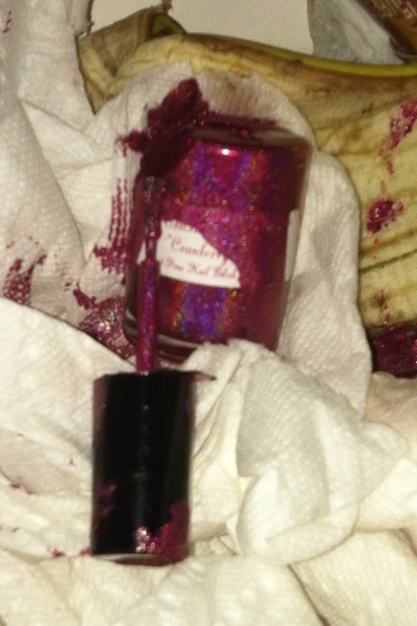 This is Enchanted Polish Magic Mirror, a lavender holographic polish with some shy flakies in it. I’ve seen some photos where it does look gray or almost silver, more like a mirror as indicated by its name, but on the nail it is definitely in the purple family. These shots are from the summer, in happy, sunny natural light, which really shows the holographic nature of this polish at its best. 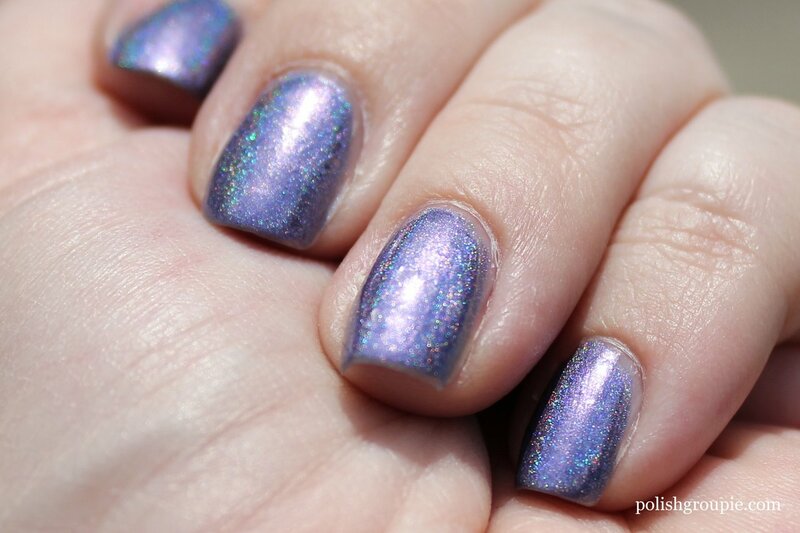 Enchanted Polish Magic Mirror unfortunately is discontinued, but there are a few Enchanted Polish shades available now from Llarowe. 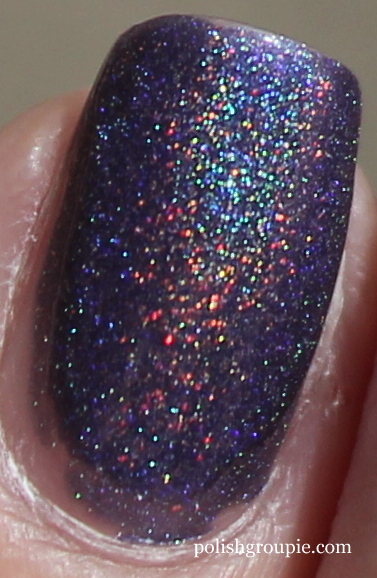 Both Llarowe and Harlow and Co. are slated to get Enchanted Polish restocks within the next week or so.